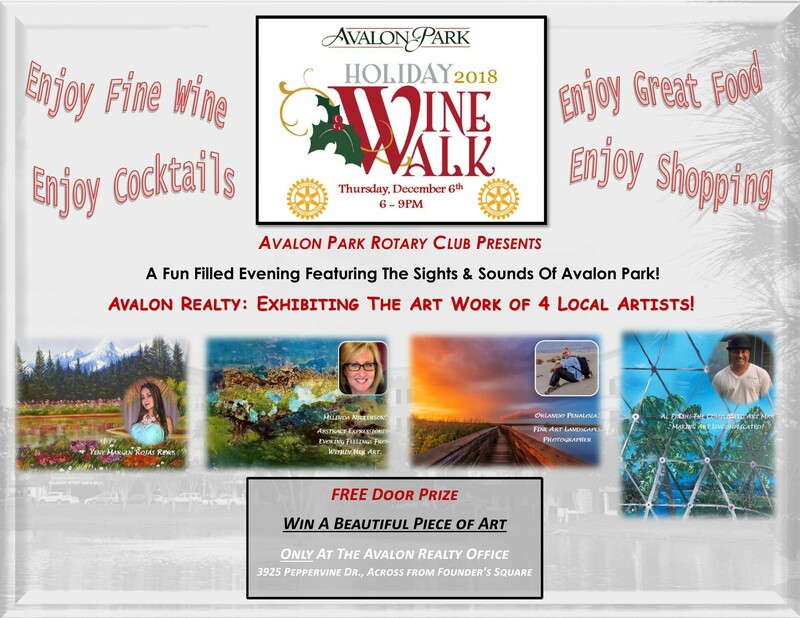 Rotary Club of Avalon Park is hosting it’s annual tradition of the Holiday Wine Walk. The office / gallery of Avalon Realty will be exhibiting the work of 4 local artist, 2 of whom are exhibiting for the first time. Join us to celebrate our local artists and the Avalon Park community while enjoying an evening of wine & festive drinks, food, shopping, and maybe win a piece of beautiful Art. Feel free to share with your friends! !